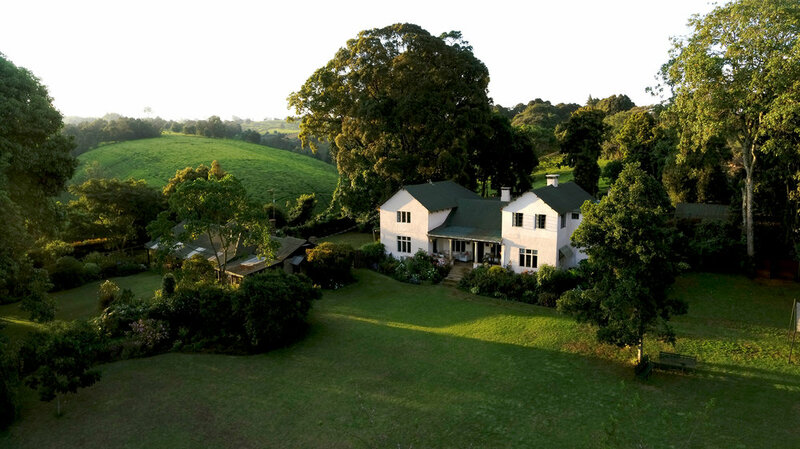 Just a short drive from the heart of Nairobi, Kiambethu Farm at Limuru provides a tranquil insight into life on a settler farm. Situated at 7,200 ft., Kiambethu was bought and farmed by AB McDonell in 1910. He was a pioneer in the tea industry being one of the first to make and sell tea commercially in Kenya - now one of Kenya’s largest exports. Five generations have lived on the farm and it is currently run by his granddaughter Fiona Vernon. The farm house is set within beautiful gardens surrounded by acres of tea and indigenous forest - home to the Colobus monkey.